Self-Help was published the same year as Darwin's Origin of the Species and John Stuart Mill's On Liberty. While Darwin drew a picture of how closer adaptation to environment refines life, and Mill sketched a society based on liberal values, Smiles gave the world a work that still inspires in its scenes of individuals who have fashioned a life from pure will. Self-Help may not have the scholarly or philosophical depth of the other two, but is seminal to the self-help genre and its ethos of personal responsibility. In many Victorian homes Self-Help had a status second only to the Bible, and though now considered a classic display of 'Victorian values' (industry, thrift, progress etc. ), the old-fashioned turns of phrase and unquestioning morality represent the cover by which we should not judge the book. It is a work within a broader literary tradition that includes Benjamin Franklin's Autobiography and the novels of Horatio Alger, one in which human beings advance despite the odds. Sir William Herschel (1738-1822), who while working as an oboist in a travelling orchestra became curious about astronomy. He built his own reflecting telescope, discovered Uranus and other celestial bodies, and became astronomer to the King of England. Bernard Palissy (c.1510-1589), the poor potter who threw his own furniture and fence pailings into a furnace in order to create his famous enamel ware, such tenacity eventually being rewarded by the position as potter to the French throne. Granville Sharp (1735-1813), a clerk who in his spare time began the anti-slavery movement in Britain, eventually getting the law changed to ensure any slave setting foot in Britain would be freed. Yet these lives are paraded before us not just so that we can marvel, but to give some idea of the vast range of possible models for our own life. Smiles sorts these lives according to how they illuminate the great qualities like tenacity, industry and endurance; they form the chapters of the book. Smiles believed that, since it was about human nature, Self-Help would remain valid. Yet to accept that, you would have to believe that perseverance and unremitting work are still primary elements to success - are they? The myth of the artist is a person of wild genius who produces masterpieces in creative bursts, yet the common denominator in Smiles 'lives of the artists' is their singular industry and never-say-die application to the task, almost equal to their artistic talent. In showing that many of the methods they pioneered were the result of years of trial and error, he explodes the belief that the most famous artists have the most 'talent'. In fact, talent is not thinly spread, but what is rare is the willingness to put in the back-breaking labour to fulfil an artistic vision. Michelangelo would not have done the Sistine Chapel ceiling if he had not been willing to lie on his back on boards for months on end. It took Titian seven years to produce his Last Supper for Charles V, yet the viewer might assume it was created in a 'burst of genius'. Smiles notes the motto of both the painter Sir Joshua Reynolds and sculptor David Wilkie: 'Work! Work! Work!'. Bach reflected: 'I was industrious; whoever is equally sedulous, will be equally successful.' History has the tendency to turn unwavering commitment and hard graft into grand words like genius, when its subjects knew otherwise. It is not eminent talent that is required to ensure success in any pursuit, so much as purpose - not merely the power to achieve, but the will to labour energetically and perseveringly. Smiles tells us about George-Louis Buffon (1707-88), who wrote the famous 44-volume Histoire Naturelle, which took stock of all that was known of natural history in his era, and which foreshadowed the theory of evolution. The massive self-discipline needed to complete such a project led Buffon to conclude that 'genius is patience'. 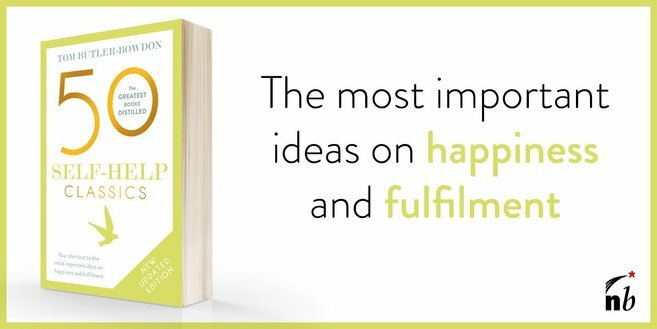 Smiles goes on to quote De Maistre who said: 'To know how to wait is the great secret of success', and notes Isaac Newton's understanding of what produced genius: constant thought about the solution of a problem. Patience, ordering of the mind, and absorption in the task at hand, are the key elements he cites in all our great advances, and government funding or education cannot supply them. They are created talents. These days the phrase 'character-building' is usually uttered with a laugh to someone contemplating a cold shower or doing a 10-day trek across the Himalayas. As Smiles warned even back in the 1850s, education, wealth, or noble family do not come close to replacing character. Today we live in the so-called knowledge society in which the highest value is taken to be creative deployment of data and information, but he asserted that 'Character is power, more than knowledge is power.' Self-Help may be a simple book for a simpler time, but its dogged reiteration of the need to cultivate personal qualities which bring freedom of mind reveals a timeless truth: that character is something formed in spite of the great forces of instinct and cultural conditioning. Smiles includes a statement by Sir Humphry Davy: 'What I am I have made myself: I say this without vanity, and in pure simplicity of heart.' Davy's admission speaks of courage - not as part of exciting tales of derring-do - but of small daily decisions which reaffirm independence. It is the primary ingredient of Stephen Covey's 'highly effective people'. But where will character get me? How will it make my living? In the 19th century, business was not seen as it tends to be now, the arena for the brightest, most creative minds, yet Smiles was able to see that it would become so. He wasted no time in stripping business to its core element: integrity of word and deed. Since trust is the glue that holds free societies together, it follows that lasting success will be attracted to those who can be trusted. As Max Weber famously argued, this attribute had been so rare that early Protestant merchants, in their utter dependability, scooped up fortunes. Nothing dulls the mind and destroys character as much as drugs, and Smiles did not miss a chance to praise that most esteemed quality, temperance. How we laugh in the old movies when the preacher rails against this 'road to ruin'. It is the fevered fear of alcohol that amuses, because we are 'sensible' about it. Yet who will admit its less dramatic consequences that add up over a lifetime: the things you don't get done the next day because of the night before, the drinking 'to be social' that does little more than cover an acceptance of mediocrity. Smiles thought of Sir Walter Scott, who said, 'of all vices, drinking is the most incompatible with greatness'. In Samuel Smiles' lifetime, the British Empire covered roughly a quarter of the planet. Like any empire, it spawned its fair share of misery amongst those forced into keeping the whole show going. Its good qualities - social reform, some enlightened political principles, sheer energy and inventiveness - were held together by a larger belief in 'progress'. One effect of Mill's On Liberty was to make us see such values in relative terms. Yet Smiles reminds us possibly the most important single line that Mill penned, 'The worth of the state, in the long run, is the worth of the individuals composing it.' If the progress ideal makes a comeback in the 21st century, it is less likely to be the property of governments than the faith of individuals. While Mill's principle of political liberty is the basic condition for personal progress, it is the ethos of Self-Help that can actually make us do something with our freedom. Interestingly, Smiles was in his earlier life a rabid political reformer, but gave this up when he realised the more pressing type of reform was personal. Self-Help is monumentally sexist, there being a total lack of women in the biographies. Its small defence is that it was worked up from talks given to working men, who at that time would probably not have stomached female role models. With some more stories of women in the book, it would be less obscure today perhaps, but any reader who can laugh off or forgive Smiles' oversight will be well rewarded. This Titanic of the self-help literature deserves to rise again. "No laws, however stringent, can make the idle industrious, the thriftless provident, or the drunken sober. Such reforms can only be effected by means of individual action, economy and self-denial; by better habits, rather than by greater rights". The eldest of eleven children, Smiles was born in 1812 in Haddington, Scotland, the son of a papermaker. At 14 he left school and worked for three years before enrolling at Edinburgh University to study medicine. After some time as a doctor, his interests soon shifted to politics, and he had a series of articles published on the campaign for parliamentary reform.In 1838 Smiles moved to Leeds to become editor of the radical Leeds Times , where he stayed until 1842. His politics were influenced by the utilitarians Jeremy Bentham and James Mill (John Stuart's father), and among other things he called for freer trade, extension of the suffrage and better conditions for factory workers. Smiles became disillusioned with political reform and increasingly advocated personal development. In the year he began a career as a railway administrator, he gave the course of lectures that would later be moulded into Self-Help. His biography of George Stephenson, the inventor of the locomotive and the modern railways, was published in 1857, but it was Self-Help that brought fame. It was translated into many languages, and was one of a handful of English titles circulating in Japan after the Meiji restoration, becoming a bible for Western-inspired businessmen. The millionaire industrialist Lord Leverhulme, and the American writer and founder of Success magazine, Orison Swett Marsden, were among many who said they owed their achievements to Self-Help . (1875) and Duty (1880), and a life of potter Josiah Wedgwood (1894). An autobiography was published after his death in 1904.